Preheat oven to 400 F, and use the avocado or olive oil to cover the bottom of a baking sheet. In a Magic bullet type blender or processor, grind and pulse raw shelled sunflower seeds until a powdered texture. In the zippered storage bag add: sunflower seed powder, almond flour, garlic powder, sea salt, paprika, parsley, and optional parmesan. Close bag and shake around to mix. Set aside. In a small mixing bowl, beat the xl egg or 2 regular size eggs. Add optional melted butter and mix into the egg mixture. 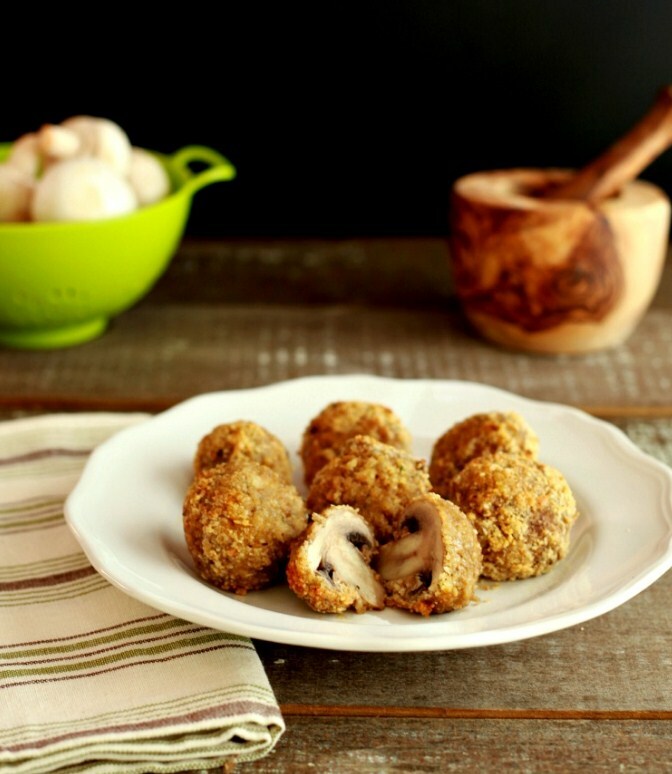 Dip a mushroom into the egg mixture and place it into the zippered bag with the almond flour mixture. Close bag and shake until covered in the breading. Remove mushroom and place on the oiled baking sheet. Bake for 12 to 14 minutes, turning mushroom over with tongs halfway through. Then turn the broiler on low for 1 to 2 minutes to get the coating more crisp. Check at one minute to see if browning. * careful not to burn. Remove, cool only slightly and serve warm.